Laserlite is a market leader in polycarbonate roofing, having transformed from a distribution company in the late 90’s. Amidst the booming building industry, Managing Director Rod King was expected to deliver unprecedented growth and profitability by the parent company in Leverkeusen, Germany. While demand for its products was strong, Laserlite faced enormous challenges in delivering these ambitious targets. The organisation’s managers were geographically dispersed industry specialists. Their style of leadership and the resultant organisational culture was incohesive, and an inhibitor to sustainable performance. High staff turnover (22%), and pressing safety issues in the manufacturing environment prevailed. New competitors were entering the market, and trade customers were becoming more and more demanding. In short, change was needed if Laserlite was to achieve sustainable growth. Our partnership with Laserlite spans five years. Initially, the change process targeted the leadership team, creating a common approach to leadership. The organisational culture was assessed, and performance improvement processes implemented. The focus of the change process then shifted to the organisation’s strategy. Collaborating with Mr King and the leadership team, we provided a balanced framework for Laserlite’s strategic objectives and initiatives, as well as processes to enable strategic execution through the leadership team, to all levels of the organisation. 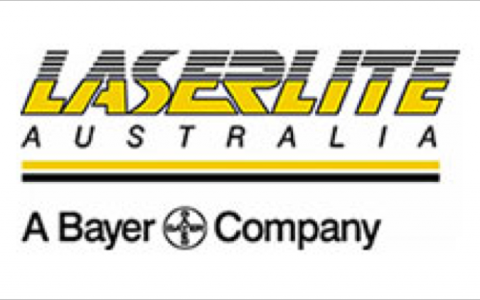 Laserlite has achieved exceptional financial performance including a 14% increase in revenue, and EBIT growth of 64%. Staff turnover has reduced from 22% to 7% and staff surveys show that job satisfaction is significantly higher than in previous years. Importantly, the substantial increases in productivity and performance have been achieved while employee numbers have remained static. The leadership team have shifted to a new level of effectiveness, and Mr King is able to spend more time establishing Laserlite’s businesses internationally. Despite the slowdown in the building industry, Laserlite continues to lead its markets and is well placed for even greater success in the future. “During the course of our partnership, Laserlite has experienced continued increases in operating profit as we have shifted the focus and energy from reactively responding to people issues to effectively running the business. We have an excellent relationship with TAP, which is built on a foundation of trust, credibility and mutual benefit. Rather than tell us what we want to hear.